By pairing a scholar of Islamic law with a scholar of Jewish law, a unique dynamic is created, and new perspectives are made possible. These new perspectives not only enable an understanding of the other's legal tradition, but most saliently, they offer new insights into one's own legal tradition, shedding light on what had previously been assumed to be outside the scope of analytic vision. In the course of this volume, scholars come together to examine such issues as judicial authority, the legal policing of female sexuality, and the status of those who stand outside one's own tradition. Whether for the pursuit of advanced scholarship, pedagogic innovation in the classroom, or simply a greater appreciation of how to live in a multi-faith, post-secular world, these encounters are richly-stimulating, demonstrating how legal tradition can be used as a common site for developing discussions and opening up diverse approaches to questions about law, politics, and community. 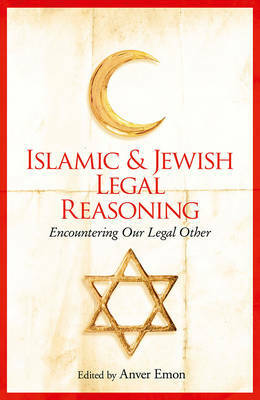 Islamic and Jewish Legal Reasoning offers a truly incisive model for considering the good, the right and the legal in our societies today.